After almost two months of my no-plan-training-plan, I must say I’m very excited to be starting a regimented plan again. I know both my body and my mind needed the break as I was pretty burned out after an up and down year of racing. It also gave me the chance to get a whole lot of spinning and strength stuff in that I sometimes let slip when I’m running more often. Still, my motivation was pretty low so I just wasn’t getting out there and running nearly as much as I would have liked, so now it’s time to change that. I’ll have my race calendar up soon, but my target spring race is the Virginia Beach Half Marathon that is part of the Shamrock Marathon weekend. 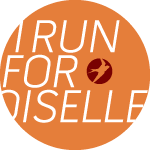 It’s also the site of an Oiselle team meet-up, so I’m super pumped to get to fly fast with a bunch of my fellow birds! I’m back to training on my own without a coach, so as usual I’ve been doing obsessive research into the best possible training plans for me for this race. I settled on my old favorite – the Hal Higdon Advanced Half plan. I’m a big fan of Hal’s plans and have had success with them in the past. While I have a goal of getting in as many of the planned workouts as possible, I also want to make sure I stay flexible. By that I mean a few things including being smart and knowing when my body might need a break as well as not missing out on group workouts/runs because it’s not the exact mileage I have on tap for the day. In addition to my runs and strength training built into the plan, I’ll be spinning at Revolve when I can fit it in, stretching A LOT and becoming good friends with my foam roller! I don’t have a goal time for the race yet, but I do have a PR in mind knowing it’s a very flat course. After I have a few more weeks of training under my belt I’ll have an update for you on my race goals. Have you used the Hal Higdon plans before? How’d it work out for you? What other training plans do you like? OK, so I’m very late with my usual Monday morning recap again thanks to a busy, fun-filled weekend that I’ll fill you in on more in a later post. Getting right to it though, last week was mostly filled with PT appointments and non-impact training so I’ll be good to go Sunday for the Marine Corps Marathon. You can read more about my proactive PT plan here if you missed it. Monday: Physical therapy session which included some treadmill running, dynamic stretches and soft-tissue work. Tuesday: 6-mile easy run along the Custis and W&OD Trails to my PT appointment so they could get a look when my calves were more flared up, which usually starts right around mile 5 or so. PT included a run analysis, drills, stretching and soft-tissue work. Wednesday: Today was a rest day, but included lots of stretches and exercises I got at PT. Thursday: I was back up to PT after work Thursday night for some more run drills, dynamic stretches and even more soft-tissue work. I WILL get those knots out before MCM! Friday: I spent 35 minutes on the elliptical at the same intensity I would have done my run today so I can try to keep the same level of fitness without the impact. This way I won’t undo all the soft-tissue work I’m getting done at PT. I finished up with core work, PT exercises and stretching. Saturday: Today was a repeat of Friday except with 45 minutes on the elliptical before getting into core, PT exercises and stretching. Sunday: In a reversal of my usual role, I spent this morning biking and walking all over town to cheer on friends in the Army 10 Miler. 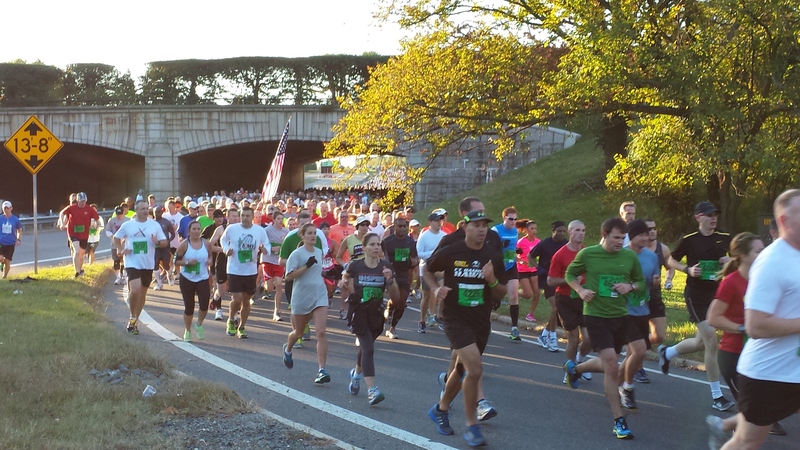 I started in-between the 1 and 2 mile markers near Arlington Cemetery and could not get over how many people run this race! And just like that…it’s October. 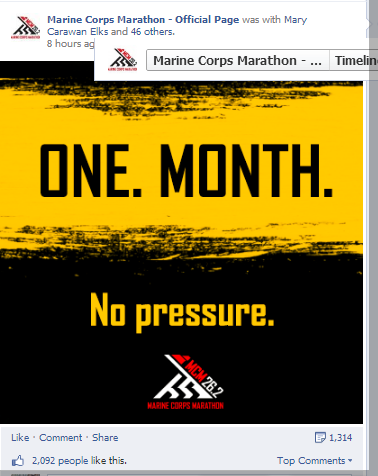 I can’t even believe my marathon month is here. Commence freaking out now! I’ve made it a point this year to look back on my New Year’s Resolutions each month so that I don’t let myself forget about them. I also pick one thing each month that I’m going to focus on to help me reach those resolutions/goals. Last month I turned my focus back to core workouts after letting them slip a bit. I did a great job getting back on track with these and will continue to do so throughout the next month as I get ready for Marine Corps Marathon. This month my big focus will be back on drinking less soda. The fridge full of free soda just steps from my desk is killing me! I only have one can a day, but still, I don’t need to be drinking soda every day! Most times I just drink it out of habit, so I’m going to try make myself do something else whenever I hit that point in the afternoon that I start craving caffeine. 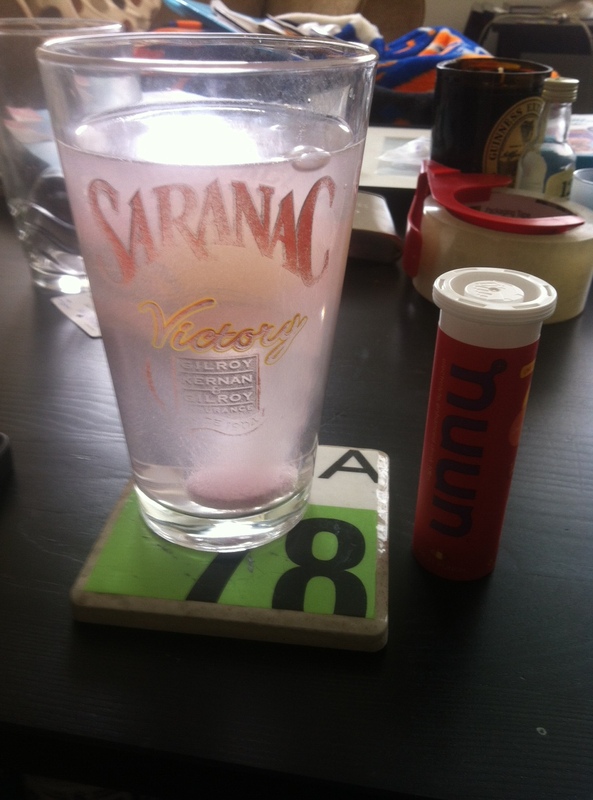 I drink a ton of water so sometimes I get bored and just want some taste, so I’m also keeping my desk stocked with Nuun and Crystal Light type drinks. 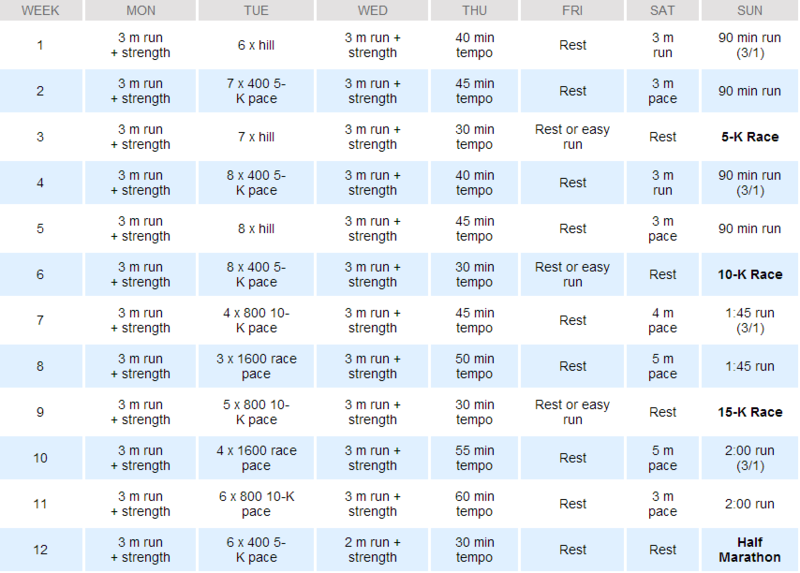 My biggest resolution/goal for this year is a Boston Qualifying time. I’m admittedly not as confident about this as I was during the first half of the year, which I hate. Initially I thought I could crush the BQ time I needed and shoot for a time in the 3:20s, but I’ve had a tougher than expected training cycle and that doesn’t seem possible to go for. Still, I’m shooting for that sub-3:35 time I need to BQ, and will run my heart out at MCM at the end of the month trying to get it. How are your resolutions going this year? Officially Done with Physical Therapy!! Last night I headed out to Fast Track Physical Therapy in Falls Church for what I was hoping would be my last PT session. Liz, my physical therapist there, gave me the great news that I have in fact officially “graduated” and am done with PT. It’s not easy for me to admit injury (main reason things got so bad in the first place! ), and it’s even harder for me to stop running, so starting PT and being told I needed to give my body a break was a bit hard to swallow at first. Turns out this whole injury thing might have been one of the best things for me. I’ve become so much more aware of my running form and what muscles need to be working when. Thanks to run analysis my form is getting better and more efficient. I learned the hard way just how important strength training and flexibility are for runners. This seems obvious, but I love to run so much I wasn’t always making time for the other stuff. That’s changed. Liz did a final video run analysis last night and my form has improved a ton from the first time we did this. I’m still dropping my hip a little bit, but it’s getting better and I’ll keep working on it. My feet are landing in a very neutral position and I’m doing a better job of pulling my legs underneath me. We did a quick run through of my home exercises and stretches that have helped me get so much better over the last few months, and she gave me a few more to add to the arsenal to make sure I don’t end up hurting myself again. I’m amazed at how much more flexible I’ve become. There’s still work to do, but I always just assumed I wasn’t very flexible and didn’t realize I just needed to put the time and effort in to work on it. It has been so amazing to run pain free these last couple weeks. Seriously, I think it’s been a couple years since running felt like this. Liz and Fast Track are the best! 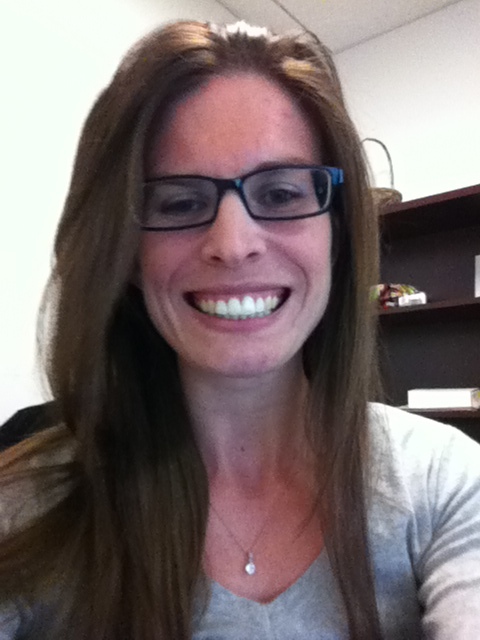 If you live in the NoVa/DC area and need to see a physical therapist – I highly, highly recommend them. I’ve never been so excited for a race season, and can’t wait to go after some new PRs and a Boston Qualifier! So excited, I can’t stop smiling! Last week I shared my favorite core workout. One other thing I’ve been really focusing on since starting physical therapy in October is my flexibility. I was unbelievably tight at my first session, which really limited my mobility and was causing a lot of the pain I was feeling. I was given a series of stretches to do 2 to 3 times per day at first, and was told that it can take 10 to 12 weeks to really see the benefits. 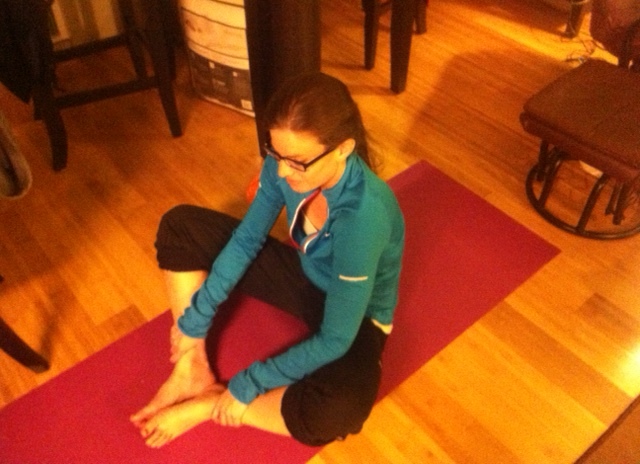 I’ve been diligent about keeping with my stretching routine and am really starting to notice a difference. I’m down to going through the routine once a day and usually do an abbreviated version of the stretches again later or after working out, especially if I’m feeling tight muscles. I know it’s really important for me to keep this up if I want to keep running healthy. Check out my stretching routine below. I hold all stretches for 3 minutes each with the exception of the last two, which I do 3 sets of 10. Active Hamstring Stretch – start at 90, straighten leg, return to 90 and repeat.